A cross-platform open source application. 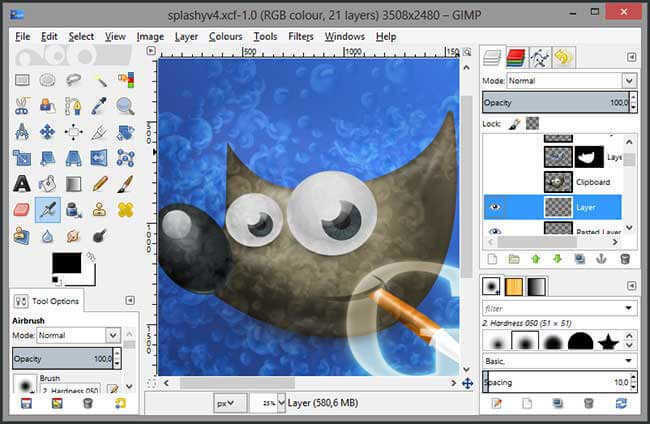 GIMP is a cross-platform image editing software that allows user to manipulate the source code. 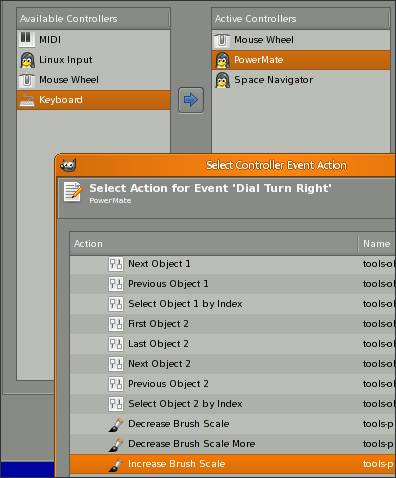 User Interface of this software is divided into three parts such as editing area, toolbox and channels and this improves the performance of the software. It also provides some advanced editing tool like channel manipulation, digital retouching and scribus. In addition to this, it has a feature called open as layer that enable you to map an image into the layer of another image. It is an extensible software with customizing options that helps to improve the productivity. 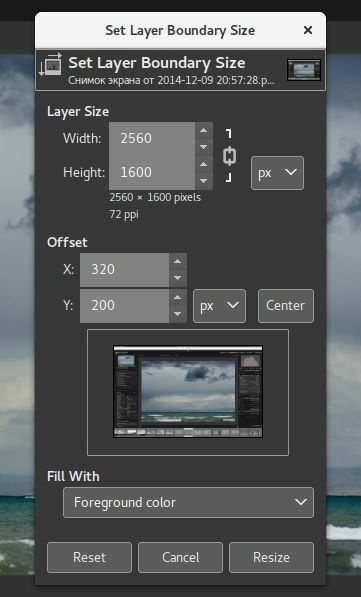 How much does GIMP cost ? 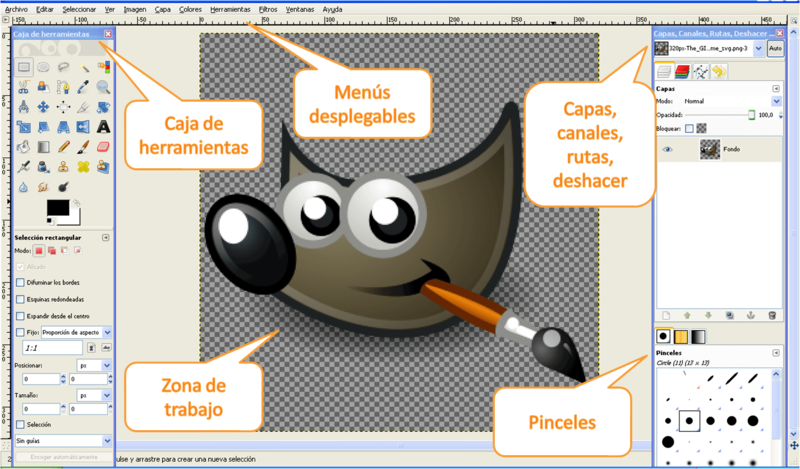 GIMP is a free software. 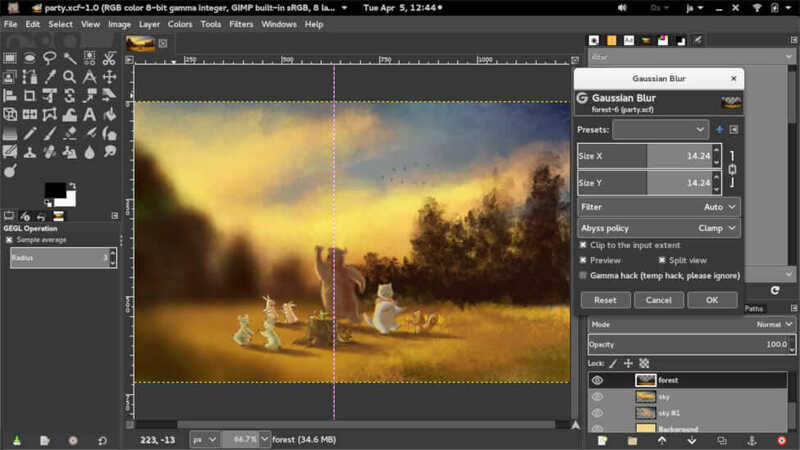 GIMP is free software, it doesn’t put restrictions on the kind of work you produce with it. Disclaimer: The pricing details were last updated on 11/04/2018 from the vendor website and may be different from actual. Please confirm with the vendor website before purchasing. An expert photo- and graphic editing tool, for free! - Open Source - woo utopian software solutions! - Incredibly powerful image editing tools. Pro results, amateur price. Cons: - Tough to figure out - this is an expert level tool, but some diligent googling and resource-reading means you can become a power user if you're dedicated. Overall: This is on every computer I use, because the quick and thorough work it can do for free is invaluable. I love GIMP! Easy to use editing software! Pros: I like how simple and easy to use Gimp is. I recommend it to anyone looking for a free editing software. I also love how you can watch free editing videos in any language. I did however upgrade to photoshop because it Gimp unfortunately didn't offer all the tools I needed to complete certain projects. I do though highly recommend it to beginners who are not trying to pay for an expensive software like Photoshop. 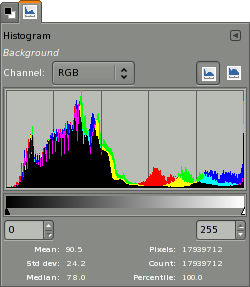 Cons: What I least liked about this software was that it was very limiting compared to photoshop, I also like photoshop's interface and easy to navigate toolbars. Pros: The price for Gimp is unheard of. For the ability to edit all that you can with Gimp it is unreal that it is free. It has almost all of the capabilities and more of the alternatively paid programs. I have seen tons of art that is produced using Gimp and am impressed. Cons: I was trained in all of my classes to utilize Photoshop. This is not a knock on Gimp as it is my inability to conform to another way of doing something. If it had all the same layout where I didn't feel lost in Gimp I would use it a lot more. 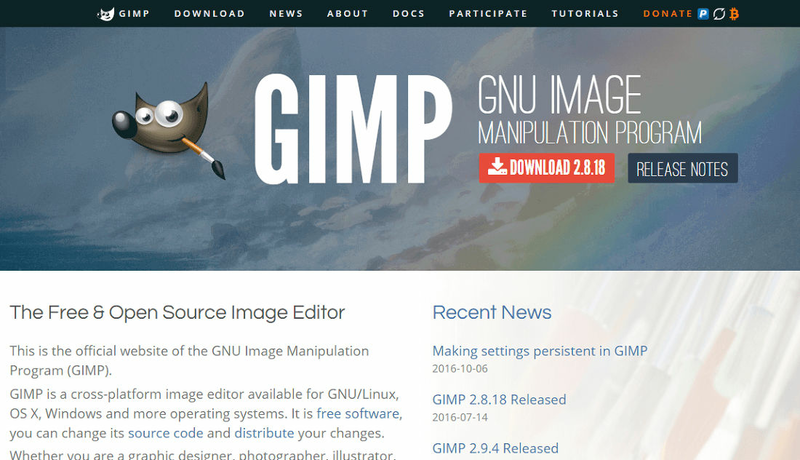 Overall: I have definitely suggested to many people the use of Gimp. You can't go wrong with a professional level image editing program for the low cost of free. I, however, was taught using Photoshop and can't get away from my reliance on its interfaces. So while I may not use the program much anymore, I am still an advocate. Pros: It was very easy to learn and a great program for starters and for pros. Has all the same benefits and features that you would pay for. Cons: I mean had not really much to complain about something that is free and that will produce just as well as the ones that you pay for. Overall: At the time that I needed a program and I didnt have the money to invest and I was a beginner at the time. It was a great experience. I recommend starting here before you spend the money on one of the big programs. Free photo edit tool . Pros: GIMP is free to use ,which makes it a great way to begin your journey into editing photos ,which is a very time consuming hobby. Cons: I find that there is definitely room for improvement in how two or more images are merged through it . Pros: I love that it is a free program and can do much of the more advanced photo editing needs that I have. I am a pretty basic user, so I don't need to spend a lot on a photo editing program. I like that it's features are pretty similar to those of the much more expensive Photoshop, allowing me to edit existing images and create new images as needed as well. I also love that I can almost always Google how to do something and find easy instructions online! It's easy to add text overlays over a photo, adjust fonts, etc. Cons: It is a bit complicated to change the color of an image - you have to set the background and foreground colors in advance and then choose one of those colors. Would be nice to have a feature to just change the color in one step instead of two. Maybe it exists and I'm missing it, but if that's the case, it isn't intuitive. I also find that the drop shadow feature is a bit less than intuitive, and I don't like that when I add drop shadow to text, if I move the text, the drop shadow does not follow it. Pros: So easy to use you won't believe it's free! Cons: The user interface is kinda small and boring. Overall: I really cannot believe this software is free! It does exactly what other, much costlier programs like it does! There was a very mild learning curve for me, but I think that was mostly due to being a few years out of practice! 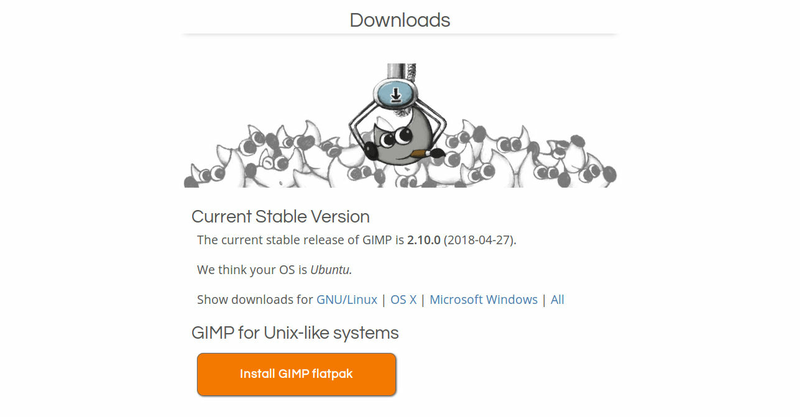 GIMP has satisfied every one of my needs! FOR FREE!! I just cant get enough of saying that! 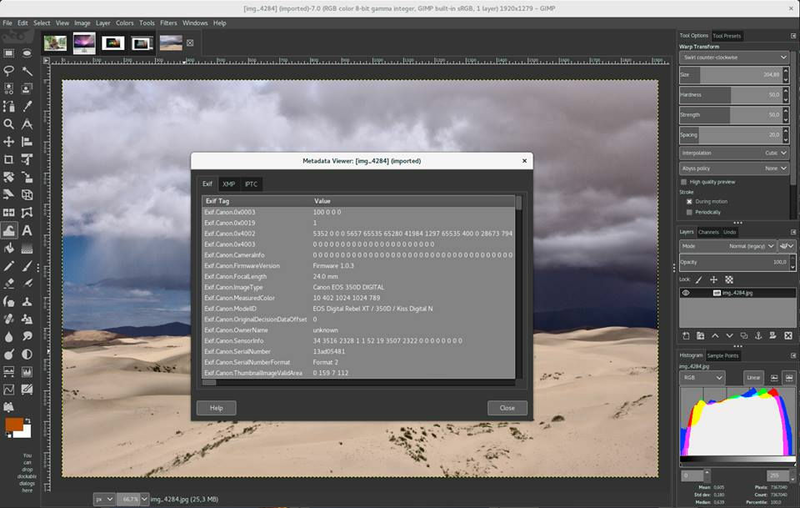 Pros: GIMP is an open source program so it's free and can be used to all operating system from Linux to windows to mac. 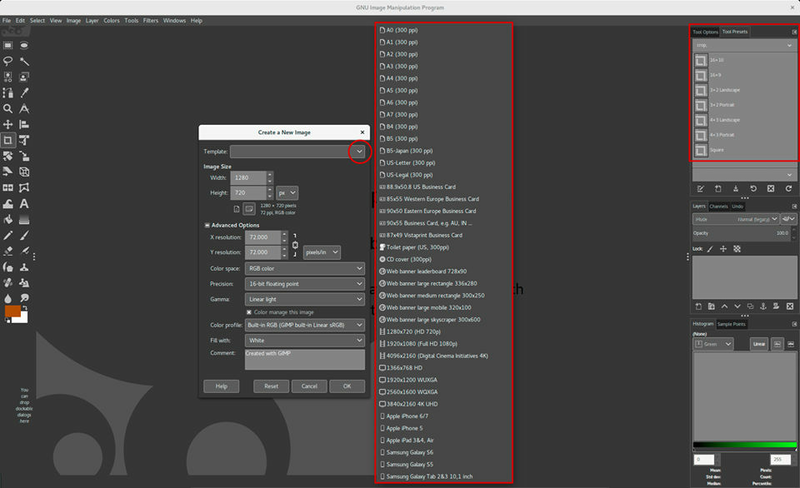 Gimp is more light and boot faster than other image processing programs like photoshop. Overall: I use GIMP to design my college organization events, and It turns out to be excellent results. 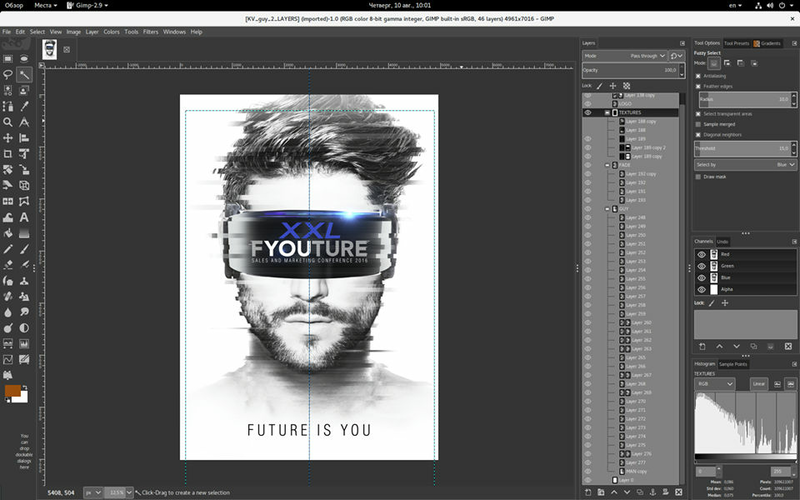 Pros: When it comes to free Photoshop alternatives, you can't do much better than GIMP. While it obviously has its limitations when compared to more robust (and expensive) software, it still offers an insane amount of depth that goes even deeper as your skills become more advanced. I just wish I knew programming language so I could experiment more with its script functionality. Cons: In terms of overall functionality, GIMP doesn't quite stack up to the Creative Cloud, but it doesn't come with a subscription fee either. It's hard to count the few missing features as a point against a free program. Pros: Almost everything that any other expensive software can do, but cheap! Cons: It is complex, but not more complex that any other software for same complex tasks with pictures and graphics. Overall: Great tool for creating invitation leaflet or photo postprocessing.